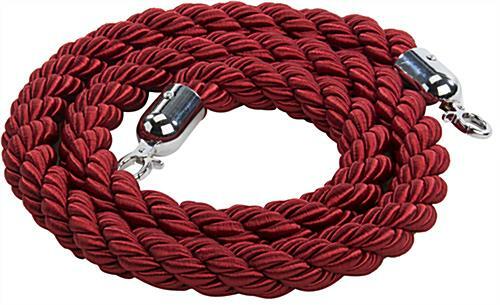 This crowd control rope is durable with its twisted nylon design. 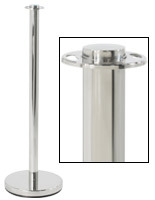 Its 78” length fixes the stanchion posts 6ft apart. 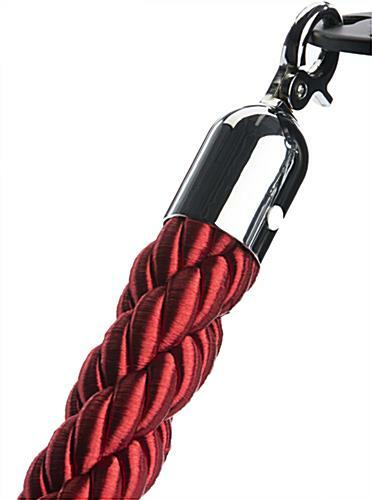 The rope is red with chrome hooks. A twisted belt creates an elegant look. 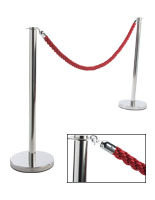 The rope is sold separately and can be used as a replacement for the deluxe Queue Pole series. 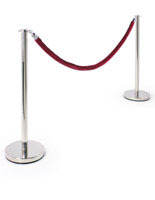 Stanchion barriers are ideal for events requiring guests or customers to stand in lines. 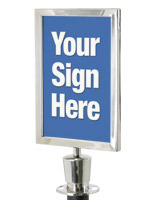 Use the red belt with stanchion posts at a hotel, theater, bank or casino. The barriers will be sure to organize and manage large groups of people.